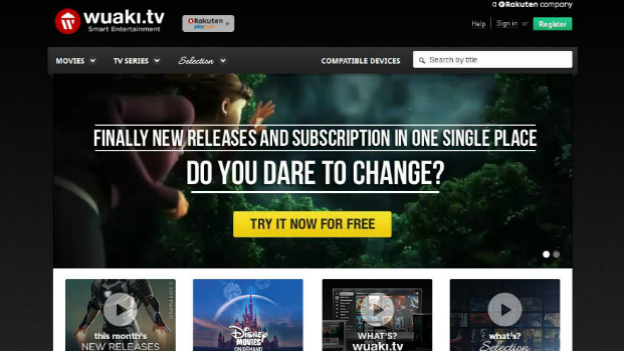 The product of a Spanish development team, Wuaki.tv (pronounced "Wa-ki") differs itself from other services by offering both new release purchases and a streaming subscription model. The new service has existed in beta since June, but launched in the UK yesterday and is available on both iOS and Android mobile devices, Samsung smartTVs and through Microsoft's Xbox live. Owned by the Japanese e-commerce company Rakuten - which also owns Play.com - Wuaki.tv already has in place the required catalogue of movies and TV shows from studios such as 20th Century Fox, Paramount and Universal. The hybrid model offers users a choice between a la carte rental or purchase of a movie or TV series or a monthly subscription to the Wuaki Selection service. The latter offering unlimited streaming of the movie and TV content. “Our unique hybrid model is what really sets us apart, along with the quality of the content we program every week in the Wuaki “Selection," said Jacinto Roca, founder and CEO of Wuaki.tv. Subscribing to the Wuaki Selection model will cost you £4.99 a month for the limited time introduction offer while downloadable movies and TV series' are priced individually at Wuaki.tv.